This building on Willoughby Street, New Lenton, Nottingham, began life as a community laundry and wash-house in 1931. In 1966 a small swimming pool was added and in 1979 part of the building was converted into a community centre. In 2006, the building was sold to Lenton Community Association for £10 and turned into a community owned social enterprise called The Lenton Centre. 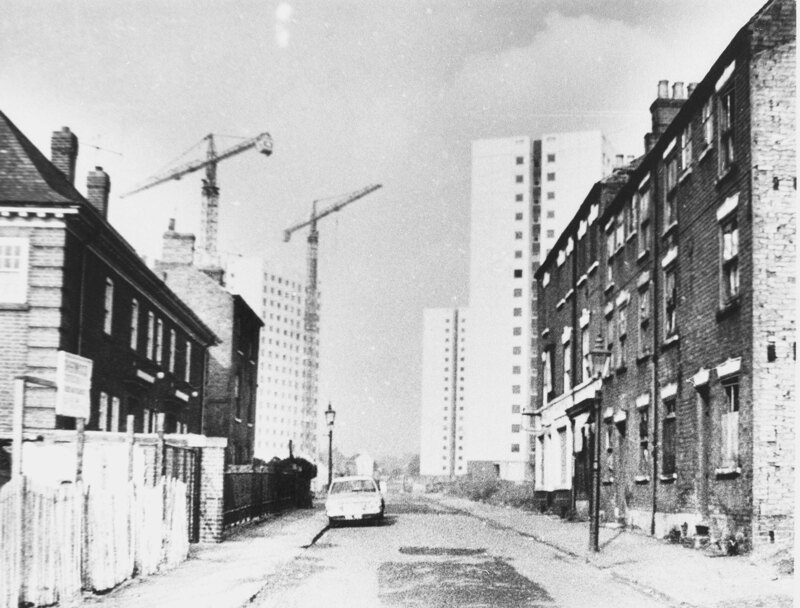 A mid-1960s pic of the Lenton high-rise fats under construction. The only building in the area not to be demolished is on the left of the pic and is now known as The Lenton Centre. 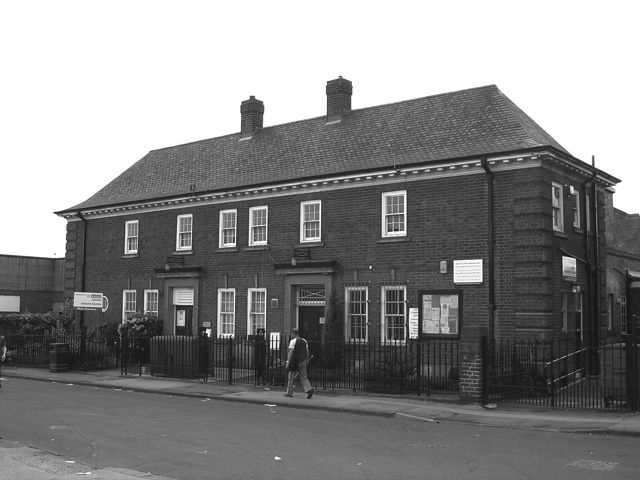 This is a small archive covering the period 1978–2006 containing papers and photographs relating to Lenton Community Association which managed Lenton Community Centre from its opening in February 1979 until it became The Lenton Centre in June 2006 after it had purchased the building which housed the community centre, a council-run swimming pool and gym for £10. I rescued the records in 2010 after a TLC worker told me that the building’s basement was being cleared and that ‘There are boxes of old papers down there you might be interested in’. I am in the process of cataloguing the collection with a view to writing a history of not just LCA and the building (which opened in 1931 as a communal wash-house and laundry), but the site itself and the wider local community of New Lenton which LCA served. New Lenton was created in the mid-1820s between (Old) Lenton and Nottingham on what was, in today’s parlance, a green field site. Like lots of ideas, it has grown in scope and ambition often in response to a request from other local residents. The Dunkirk and Lenton (community-led) Partnership Forum is currently preparing a HLF bid for three-year community heritage and archives project to pull together a number of local community held archives whilst collecting local reminiscences at a time when Nottingham City Council are about to embark of their own three-year project to demolish five high-rise tower blocks. The Lenton Centre has a large unused ‘semi-basement’ where it has plans to create a youth club. There should be enough space to create permanent archive accommodation with a search room, providing the proposed HLF project can raised the money to cover adaptation work and any running costs. I will post updates as to how the proposed project progresses. For now, I thought it about time that I put on record the fact that there is a Lenton Community Association Archive, which is presently stored in the (heated, ventilated and tanked) basement of my own home. This archive entry was last updated on 10 June 2014. Information incorrect or out-of-date?